This Munkees Circular multi-tool offers 5 useful tools in a compact easy to carry size. Munkees tools are as fun as they are functional. They are made from satin finished stainless steel which is strong and lightweight. 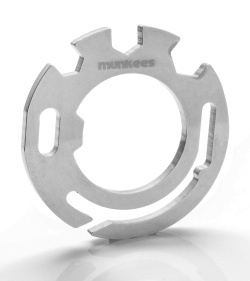 Take your keychain to the next level with a handy multi-tool from Munkees.